We examine research findings to discover what factors determine the efficacy of online marketing email copy. EDITOR’S NOTE: The live clinic where this research was presented included practical application of the essential principles in the form of live optimization of several emails submitted by participants specifically for the clinic by Dr. McGlaughlin and the Marketing Experiments Team. You can listen to a recording of the clinic by using either of the links below. Email has become an extremely powerful marketing tool. In fact, U.S. firms spent more than $400 million in 2006. Our research has identified 6 distinct factors of email marketing campaign effectiveness. Not surprisingly, body copy is among the factors with the greatest impact (highest coefficient). 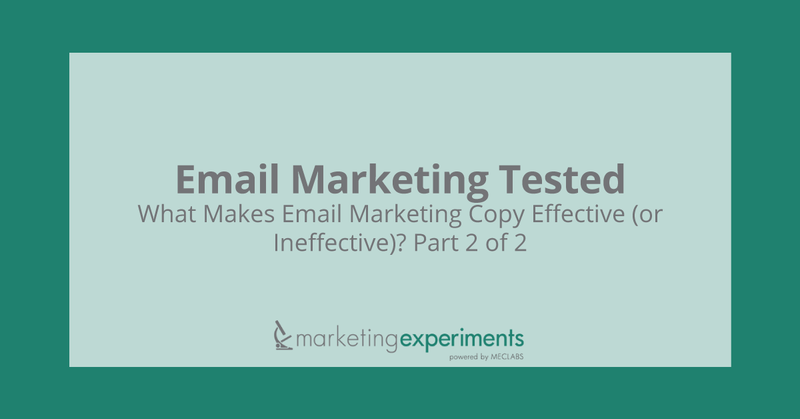 In the first part of this brief, we focused on writing effective email copy. In part 2 we build upon those principles and show you how to optimize your envelope fields and employ the power of urgency. We will begin with examples from experiments conducted by MEC and then use the principles learned to optimize your emails as you submitted them to us for this clinic. We will use this case to show a practical application of the principles of email effectiveness. We will use this case to show how the passage of time affects the open rate within an email list. We will use this case to show the impact urgency has on email efficacy. 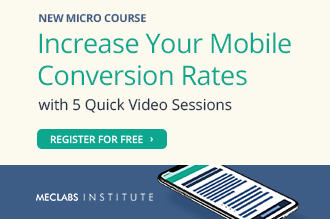 Live optimization of your emails. 4AllMemory is an online retailer of computer memory and accessories. We sent four emails in 3-month increments to a house list consisting of customers who had made purchases within the prior 36 months with the objective of reinforcing trust and increasing customer goodwill. This e-bulletin is strictly for customers that have shopped with 4AllMemory or who have requested to be notified of performance alerts. You purchased ____ for your _____. We appreciate your trust. At the current rate of technology growth, your computer may need new memory again. Programs consistently run slower than when you originally purchased your pc. You consistently receive “system resources are low” errors while using your computer. Your computer slows down significantly when you open multiple programs or are using multiple browser windows. If you hear your hard drive working. If you notice any of these symptoms on your computer you may want to consider a memory upgrade. You can find 100% compatible memory for your specific computer in just 3 clicks by using our memory configurator. Your time is valuable; thanks for shopping with 4AllMemory! The special note at the top clarifies why the customer is receiving the message. First, you might insert the wrong name. It might be that someone else is reading the email. It might be that they purchased with someone else’s credit card. Perhaps their formal name is not the name they used to make the purchase. You do not want the process of reading the email to be shut down by calling them a name that is incorrect. Then we go further and remind them of what exactly they purchased. We refer specifically to the customer’s computer, thus eliminating any perception of spam. We move from the psychological connection to the reason for the email. The email then transitions into a statement regarding the fast pace of technology growth and prepares the reader for the possibility of a need for upgrading further. The direct question is not rhetorical. It demands an answer—in the reader’s mind at least. The 5 enumerated items are perennial problems and play upon the psychological fear of loss. They are serious questions that “cut to the chase” and that anyone would want to address. They may not be in the best order here but they are valid questions with a gentle tone suggesting the reader MAY want to consider. The enumerations have a good customer service tone, a helpful tone. Good marketing is customer service—and good customer service is marketing. No discourteous hard upsell, just subtle suggestion that with time comes need to reconsider upgrade. It is an honest approach, as well. And with the quick cut-to-the-chase aspect, it shows that we value their time. It says things in a personal way and shows respect for the customer. The next paragraph presents an effective solution with the ease of minimal steps. The product configurator at the hyperlink couldn’t make it easier. By now you should have the reader’s firm and fast attention and interest. The offer that follows provides a further incentive and builds desire to take the next step. By now the reader should have been convinced that if (s)he is having any of the problems enumerated above that the solution is simple, fast, and economical. The P.S. is another customer service item. The P.S. is one of the most read parts of any letter or email. The telephone number offers an additional, convenient way to order, but most importantly it implies that a live person is ready to assist. The full addresses further reassure the reader of actual people in real places ready to help. The unsubscribe information complies with CAN-SPAM laws, but more importantly exudes goodwill through the offer of a choice. We established TRUST by clarifying why the customer is receiving the message. The list quality was high because it was a house list. This also meant the deliverability rate would be high. We included specific information about their computer to establish offer relevance. Address and unsubscribe information block information exceeded the minimum required for CAN-SPAM compliance. This reinforces trust. We conducted an email marketing campaign to determine how the passage of time affects the open rate within an email list. In this test, two emails were sent, both with the same subject line. Email A was sent May 2, 2006; Email B, April 5, 2007. What you need to understand: We saw a 22% decrease in open rate for the same email within the same list, representing substantial list decay in less than a year. Changes in frequency—How long it has been vs. the historical interval between communications. Level of expectation—The impact would be greater for a weekly “Friday specials” customer mailing that had not been published for 3 weeks than for weekly stand-alone mailings. The difference is that many customers will have come to expect their “Friday” messages and notice when they have been missed, if only when they resume. Envelope fields: Subject line; “From:” field; “Reply to:”; address; and postscript. Much valuable research shows these to be key fields. We have included some good sources in the Literature Review section below. Deliverability: One thing you can do is attempt to educate your customers to add your domain to their “white lists.” Your best (and perhaps only) opportunity to do this is when they first subscribe or place their initial order with you. Otherwise they may never know they are blocking your email. Again, please see the Literature Review for worthwhile research on deliverability. Open Rate: You should promptly remove bounced undeliverable addresses. An address that bounces with a permanent error two or three times in a 30-day period should be removed from your list. We conducted an email marketing campaign for our MEC Certification Course in which we studied two types of urgency. One measured artificial urgency in the form of an early enrollment discount with a deadline. The other measured natural urgency in the form of the fixed course start date and corresponding enrollment deadline. As you may already know, our next series of sessions for our online testing certification program starts this Thursday, June 15. Currently, we have 91 students enrolled. Our original class size was set at 50. But we added instructors so we could double the size to 100. This means there are 9 places left. Artificial urgency is created by you because you set a pre-deadline or you made some decision internally that defines some kind of limitation. Fraudulent urgency occurs when you say something in your email that is basically untrue—something like “This offer expires today at 12 midnight” when in fact nothing changes about the offer. The use of such tactics is not only unethical, but economically foolish and short-sighted. This topic is explored at length in Dr. McGlaughlin’s landmark research brief “Transparent Marketing,” which has been translated to at least 10 languages and is used by business schools around the world. You will find a link to the brief in the Related Marketing Experiments Reports section below. I am writing to you today for a couple of reasons—both of them related to our Online Testing Certification Program. First, I want to let you know that today is the last day to take advantage of the early registration discount for our upcoming June 15 Foundations of Online Testing course. If you sign up by midnight tonight, you will save $100 on the regular registration fee. There are also some additional discounts available to groups of five or more attendees from the same company. The following chart shows the impact of both types of urgency in the form of trends in sales conversion. What you need to understand: Sales jumped significantly with each email—the lowest being 100%. Both artificial and natural urgency proved effective. The mailings using artificial urgency resulted in sales volume increases of 100% to over 1,500% and natural urgency increased sales from 100% to more than 1,100%. There may be no other variable that you can quickly change that can have such a dramatic effect as urgency. The comments and observations are expressed in a conversational way, just as they were in the live clinic, in order to preserve the tone and context. 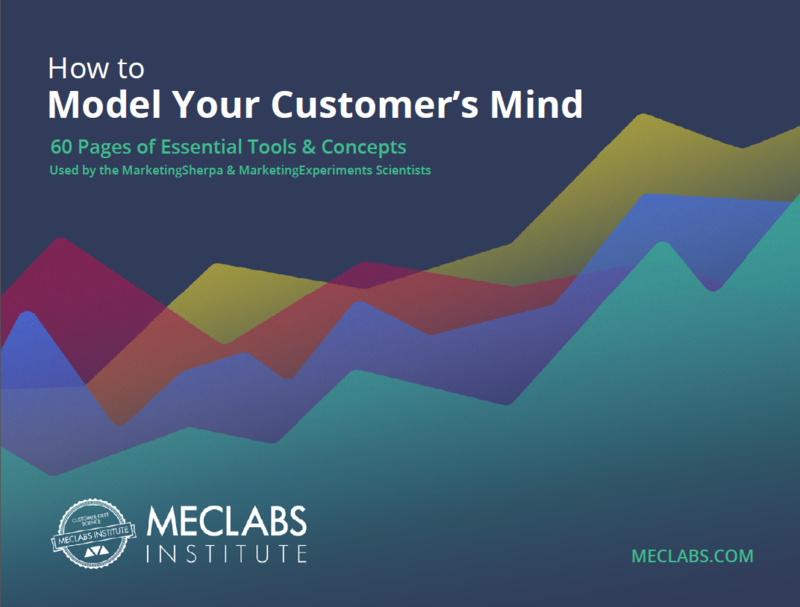 As you will know if you are familiar with the fundamental philosophy and overarching principles of Marketing Experiments, we believe that marketer’s intuition is no substitute for testing. 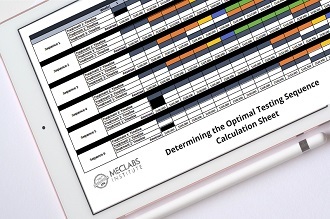 As such, the comments and observations below should be interpreted as illustrations of the foregoing principles and guides for planning of related testing. The first thing we notice is the reverse print; that is, white on black. Our testing shows that this is almost always a significant mistake. Second, it is written like a letter but it looks like an ad. We would test that, with this as the Control and the experimental treatment in letter format. Next, the headline of three words, though it may be for a specific audience who glean deeper meaning from it, does not otherwise convey a message or imply an action or benefit. This is obviously part of a series but each item in a series must stand on its own merit. Maybe this does, but just doesn’t look like it. What do the heavy graphics at the top left do to motivate a click-through? Use graphics to drive the eye down. The piece should identify who the receiver is and why it is being sent to them. The first paragraph is so dangerously long it doesn’t really have an eye path. Less is more. Use short paragraphs. Finally, the “Register Now” button on the right-hand side draws the eye up and down and away from the copy body. Use the button as a graphic to drive the eye to the bottom of the email. Where’s the focus? Too many ads. Where’s the eye path? Why so many graphics? It’s a busy, busy piece. What does it want the reader to do? Who is this intended for? No clear call to action. This is an interesting case. The subhead line in black across the top leads with natural urgency. Then we have the headline underneath and a clear snapshot of the information you mostly did not know, as well as an attempt to get you to register immediately. From there the eye is driven down to give you more of what is in the offing. It is clear on its objective. It gives you two chances to register. One, if you already know about the event and just need a reminder to go ahead and click; the other, for those who might not be persuaded by the short read, more information is provided. However, it would be good to test a shorter version. Remember, marketing is testing. Testing is the only way to discover what really works. And notice how long the paragraphs are, especially the snapshot and speaker paragraphs. There’s no eye path, no way to sift out the critical pieces of information—the data important to the reader. This is a rather strange email. What does the image at the top do? What’s all the white space? A graphic that did not print? Or an animation gif? Look at all the real estate taken up by graphics. Look at the copy. Is there an eye path? Would some color in the font help? What about the “Apply Now!” button? Frankly, it’s terrible. For one thing, why use an exclamation point? Why shout at someone if you’ve already got their attention? Here we’ve got pretty heavy graphics but it is a well-known brand and the page is set up properly. It certainly could be better, but notice the personalized approach, the way 2 free years is emphasized, the personal signature at the bottom, and how they use the P.S. And note the heavy graphics at the bottom to drive your eye down. But look at the subtlety of the “Free Cookbook” graphic. It points right at the “Click here” link. It sets up the middle path and implies that there is something you need to decide if you are intrigued at this point. However, the tone begins to change from an informal one to “I need to hear from you right away” if you want the book they have “reserved” for you. Now you’ve got some hype and a spam tone. It’s really another letter-ad hybrid. This is an ugly email, but we would wager that it does convert. It looks like a web page, but what you must understand is that sometimes ugly ones still work. Puritan’s Pride is a niche brand, the sort of thing that has a very loyal audience and buyer. They also do something we advise against: they use an addressee’s name. But it IS a first name in a niche market. The whole email is short and emphasizes 70% and value. And it does something none of the others do. It uses blog images. If you’re tempted to do that, here’s one you can refer to. All in all this ugly little email probably coverts really well. Establish trust by identifying the reason for the email. The “envelope-field” subject line should contain something that defines the reason for the email and offers help. Remind your reader of an existing relationship, if you have one. Get the reader’s attention and keep it, especially through apt use of eye path. Don’t let natural list decay lead you into false conclusions when you test. Always promptly remove undeliverable addresses. Remind your readers to put your email on their “white list” so it doesn’t get filtered out. Do this when they first subscribe; it’s your best opportunity. Urgency, when used ethically and judiciously, is a powerful tool. If you have not consciously exploited urgency in developing your prior email campaigns, it is likely you have not begun to approach the potential that the email marketing channel holds for your business. Use a personal tone. In our experience, an informal, pleasant, courteous, helpful tone outperforms pomp and hype almost every time. Use a postscript (“P.S.”) for additional customer service tone enhancement. Research by Marketing Experiments and others has consistently found that the “P.S.” is almost universally read and recalled. 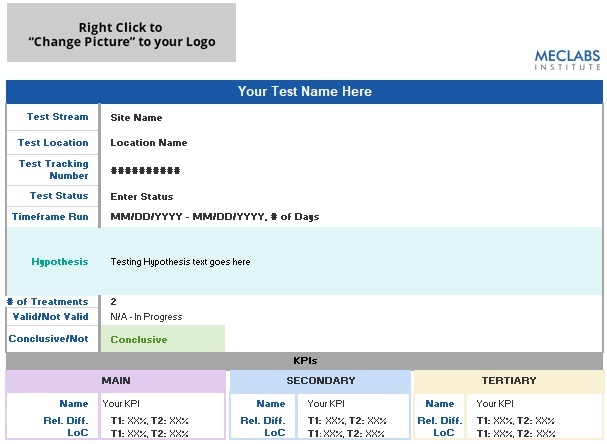 See the Related Marketing Experiments Reports section below for links to sources for more about postscripts and how to use them effectively. Use graphics purposefully. Don’t waste valuable real estate with images that do not drive the reader’s eye path where you want. Use short paragraphs. Each sentence should be designed to lead the reader from arrival to click-through. Remove any message body element that does not serve that purpose.